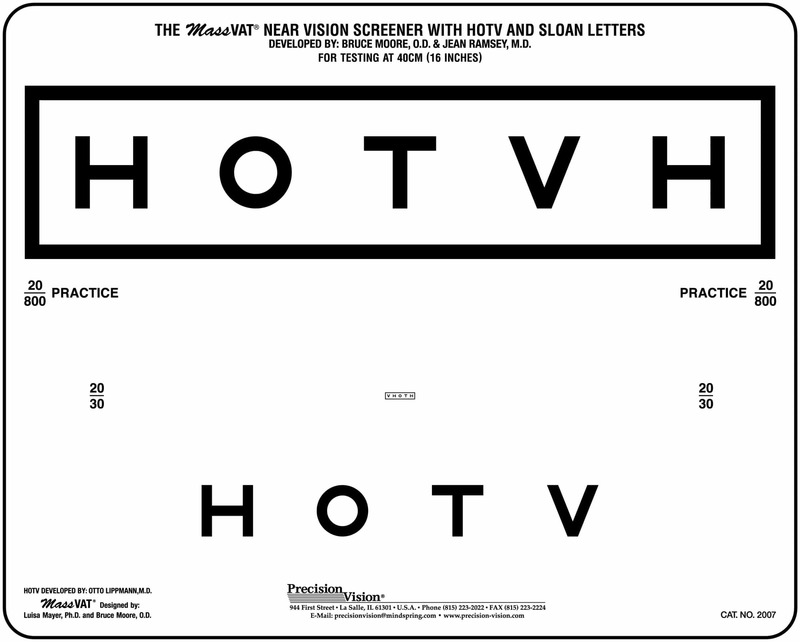 Two groups on both sides for repetitive testing. 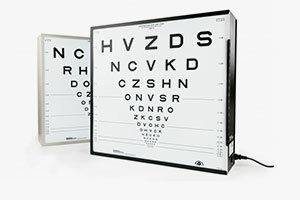 40 cm (16 in.) 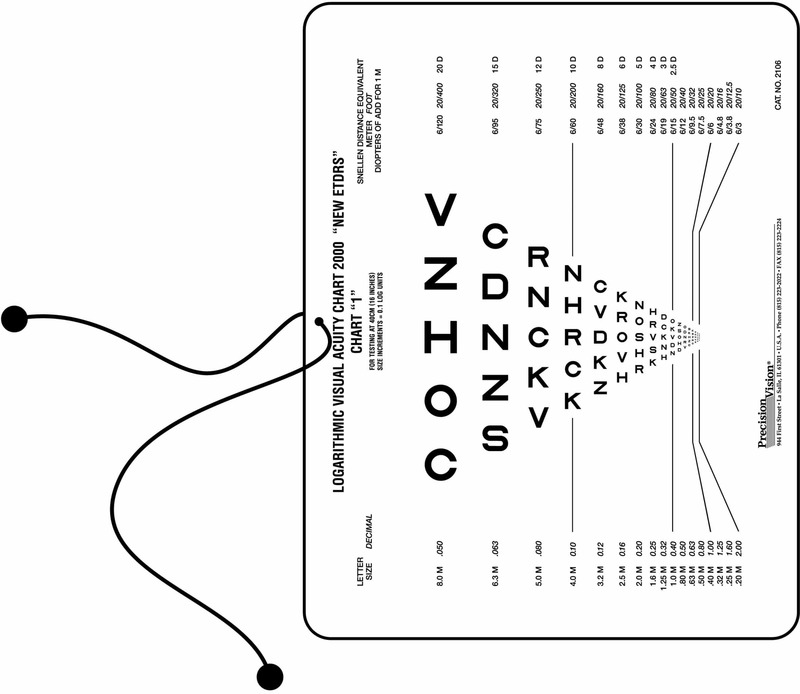 cord attached to maintain proper viewing distance. 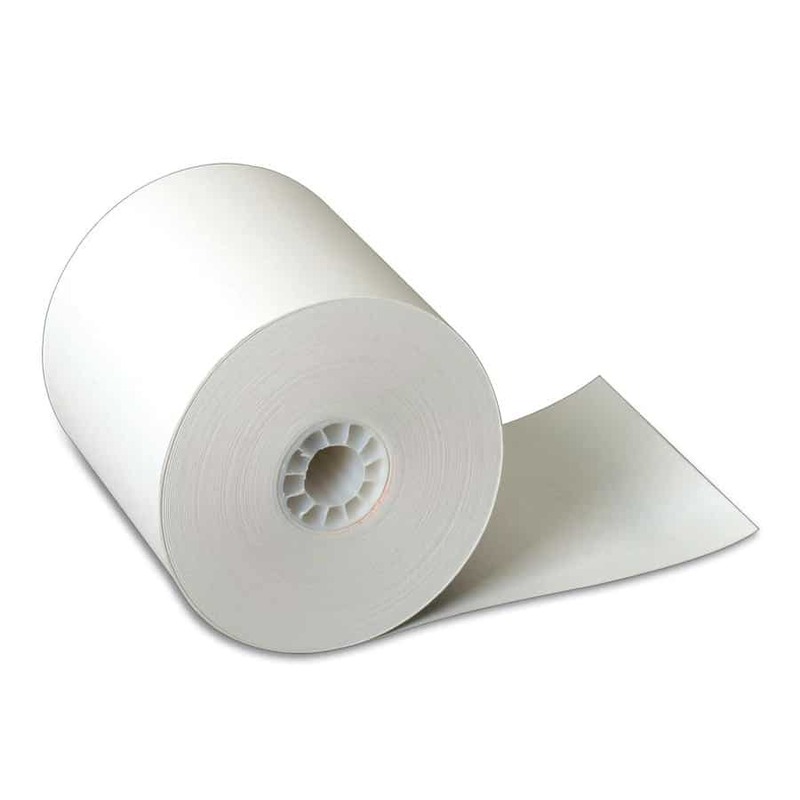 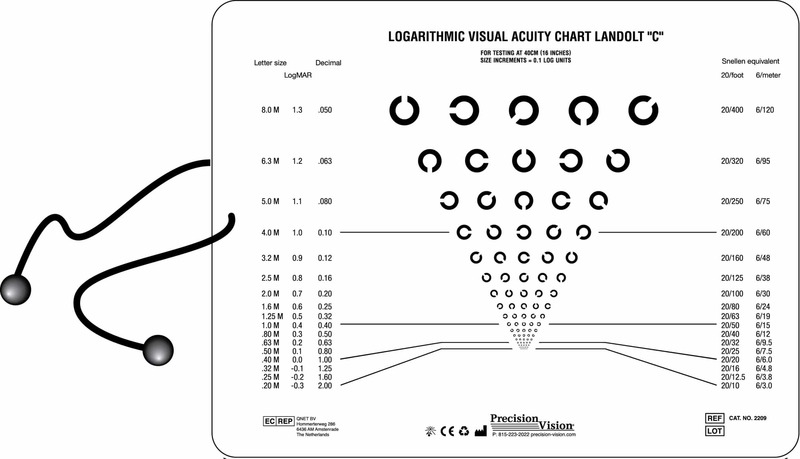 Acuity range 5.0 to 2.5M (20/250, 6/75 to 20/125, 6/38 equiv.). 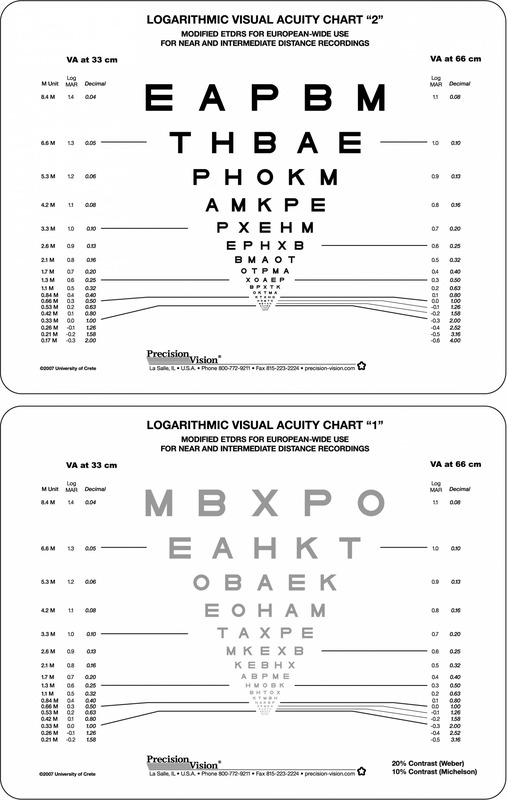 Acuity range 2.0M to .20M (20/100, 6/30 to 20/10, 6/3 equiv.). 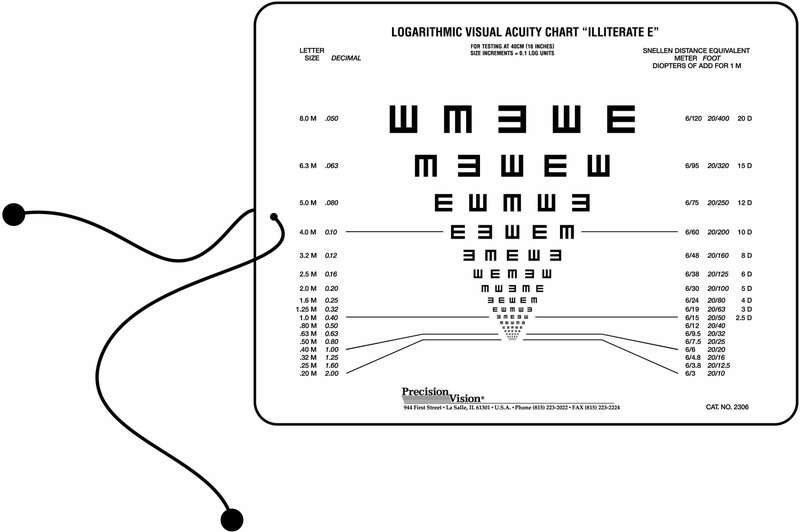 MassVat Contour Interaction Bars help the patient concentration on each line. 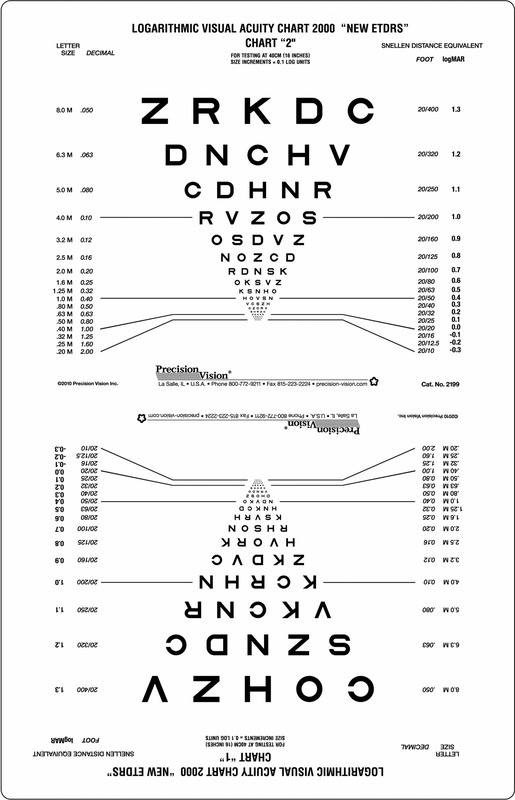 Also, the design of the MassVat rectangle provides adequate contour interaction. 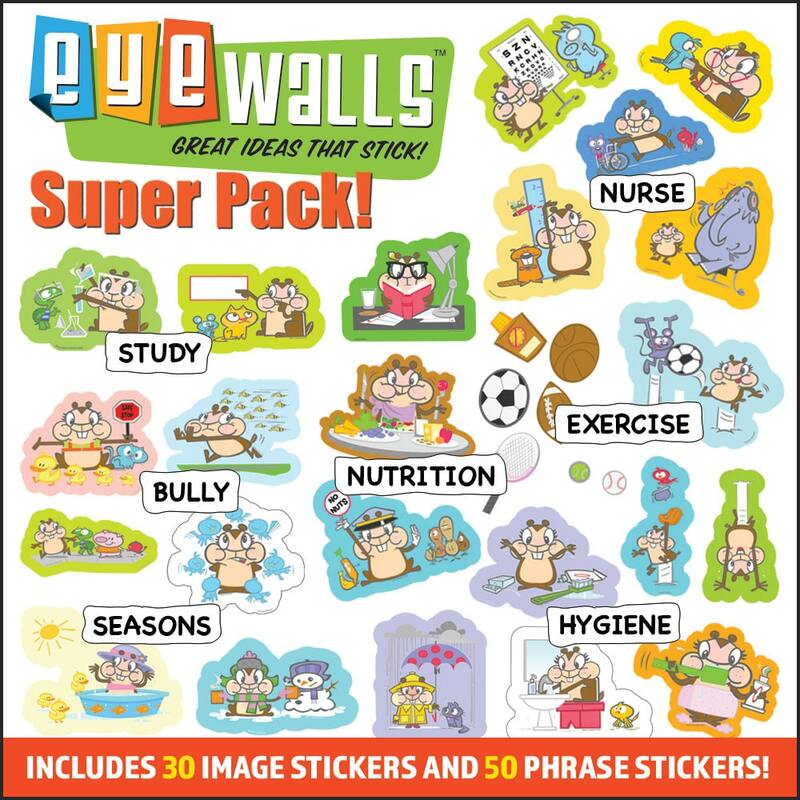 This achievement is great for the detection of Amblyopia as well as acuity vision problems. 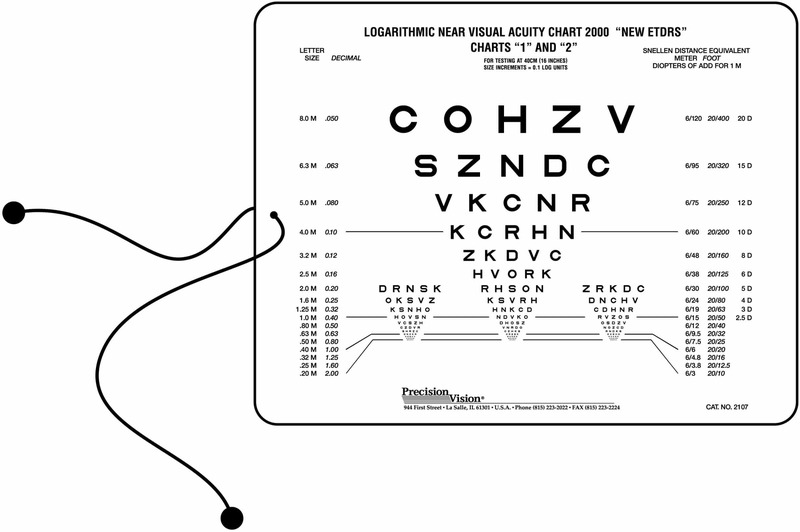 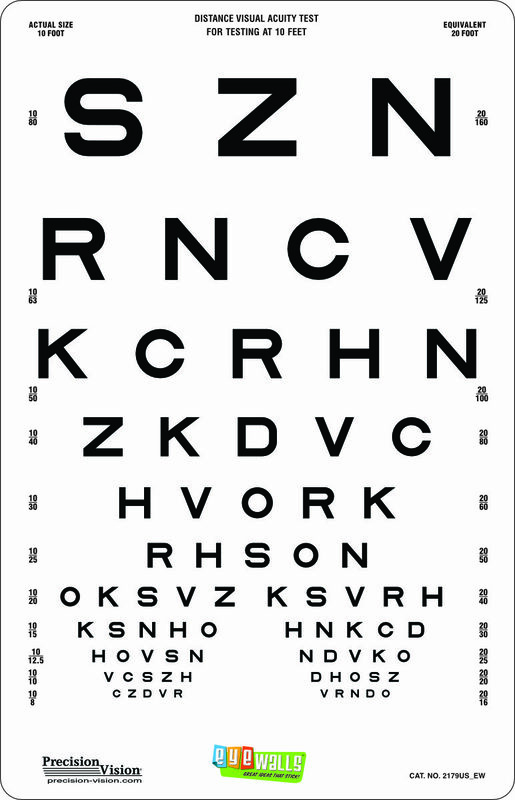 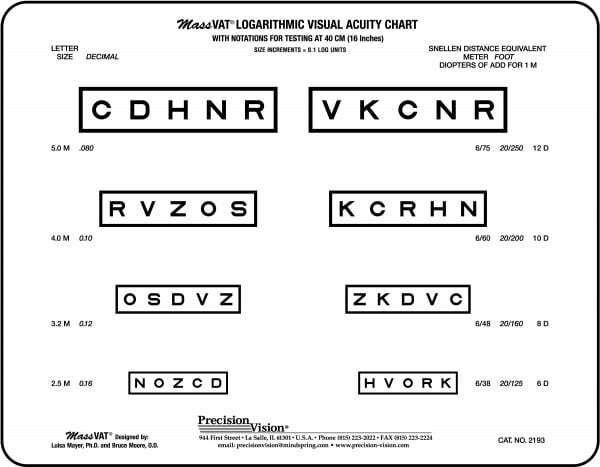 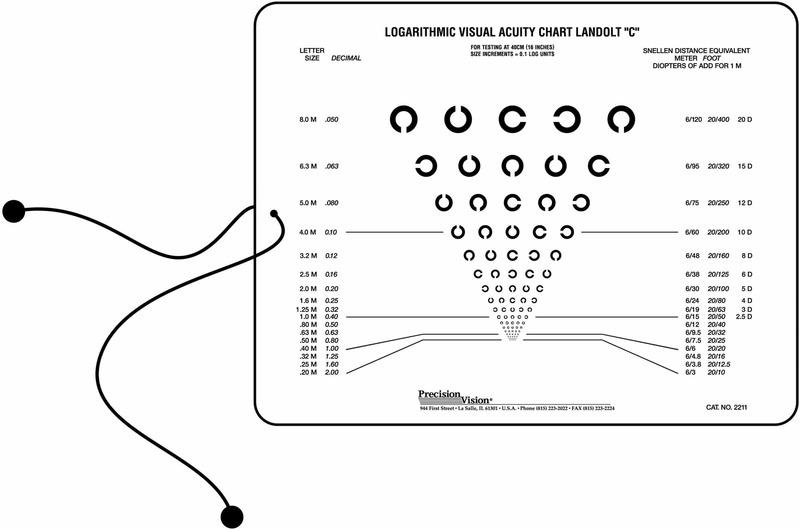 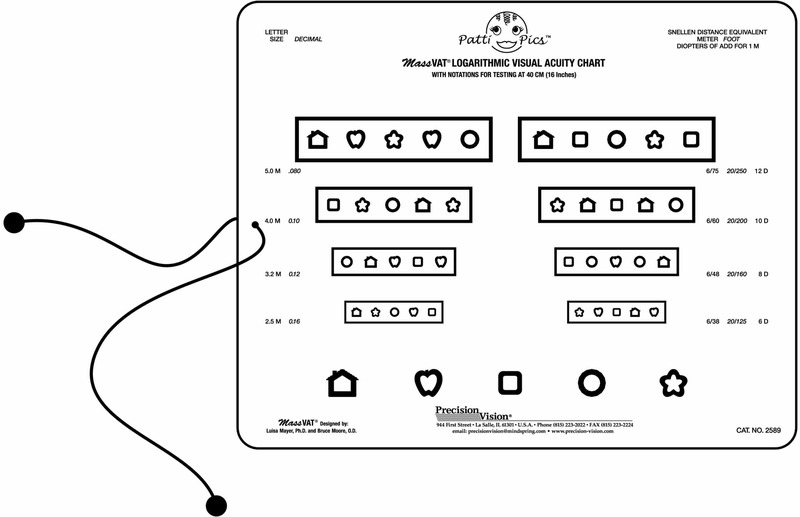 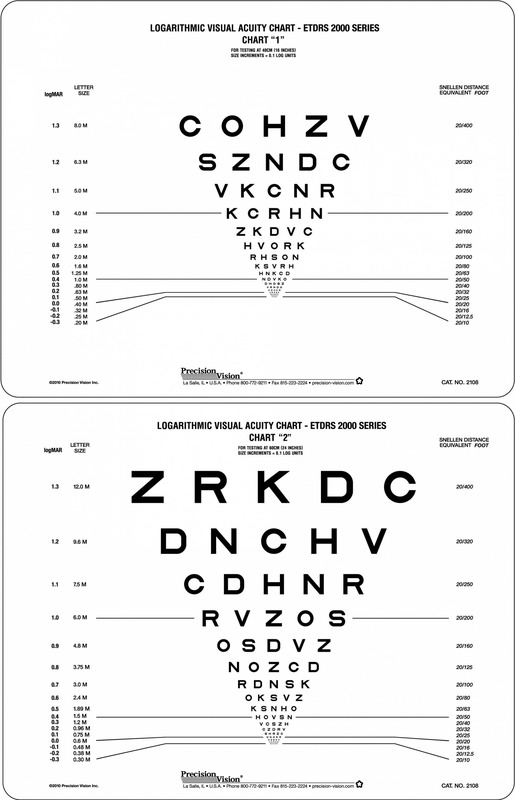 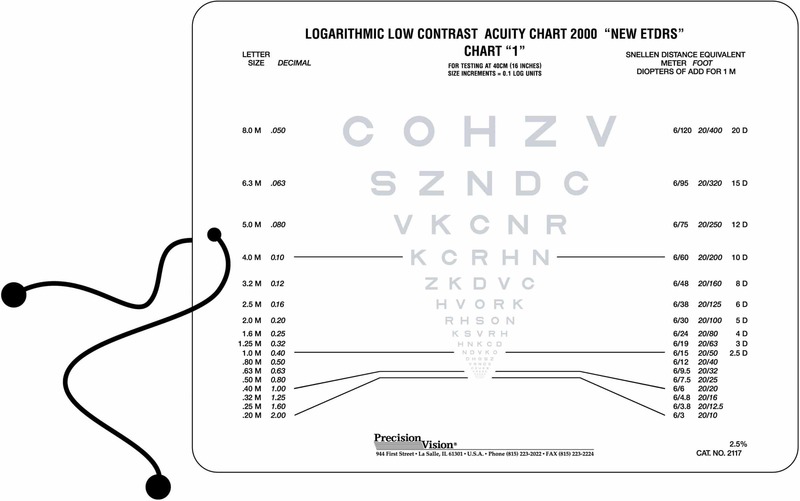 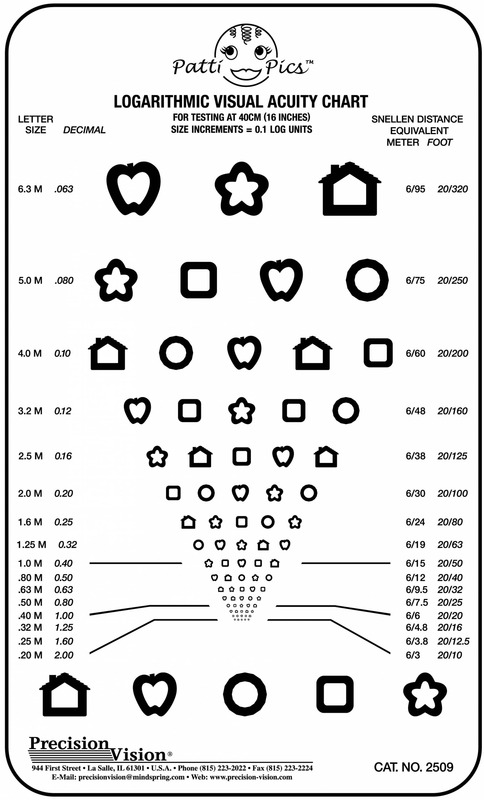 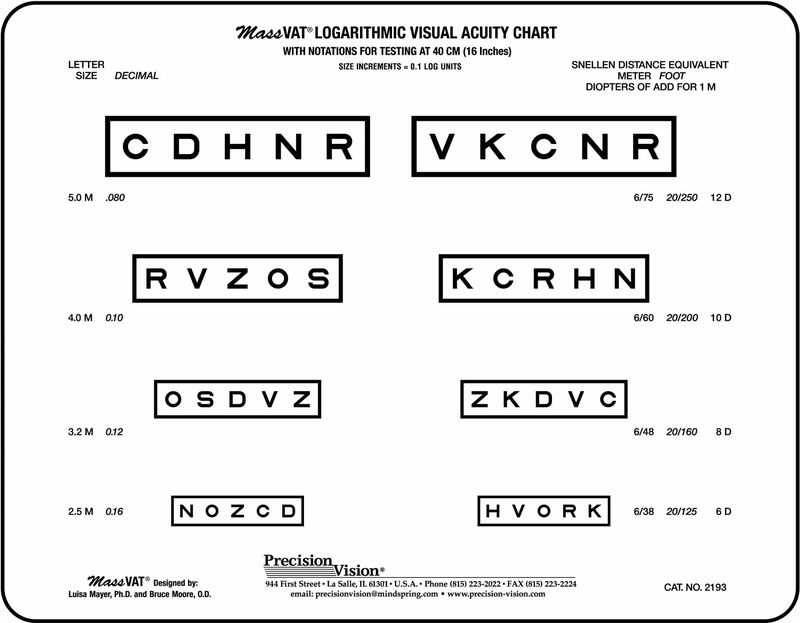 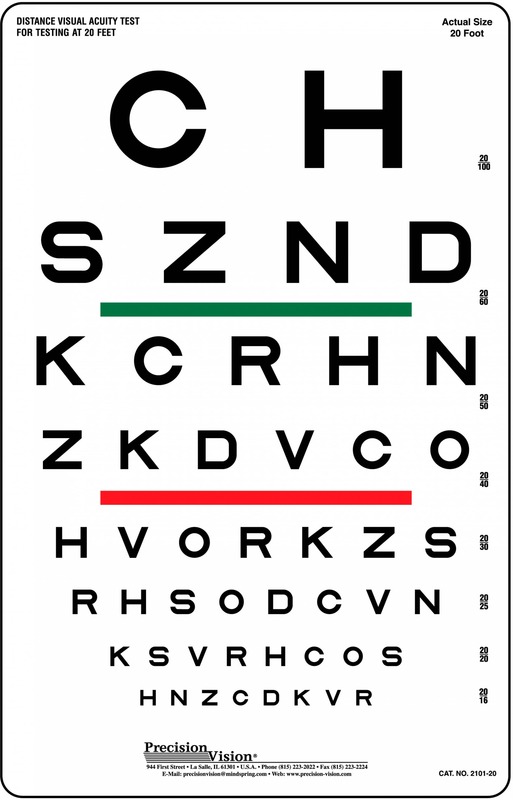 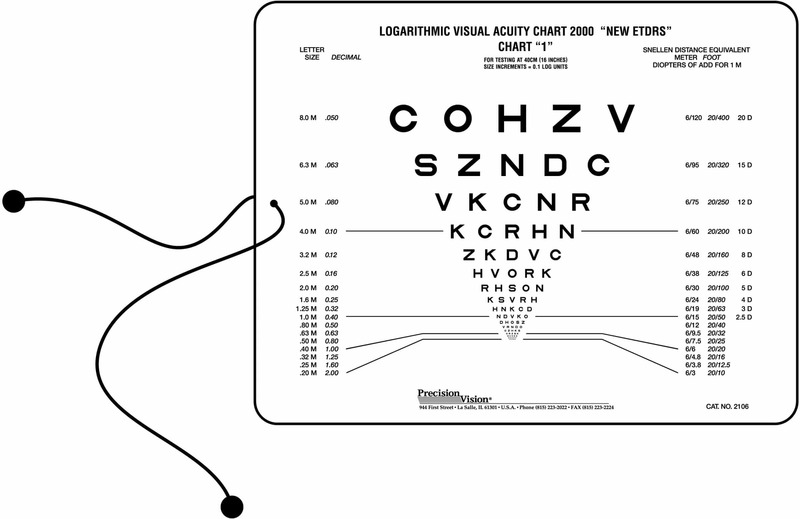 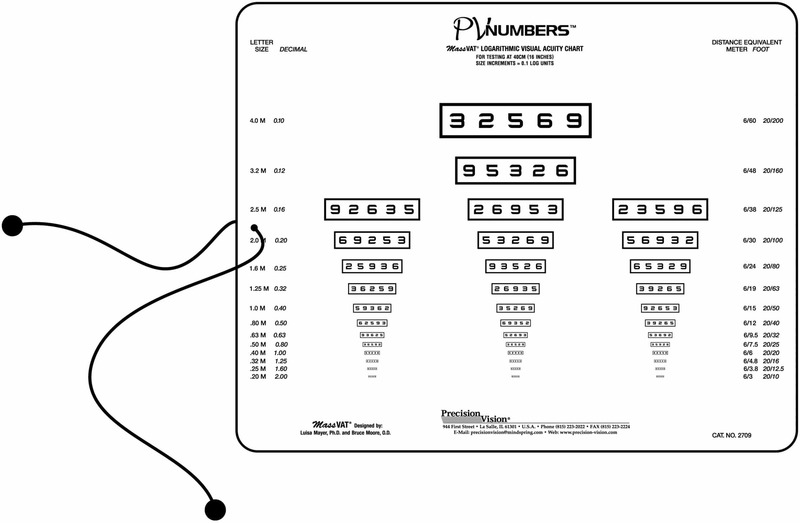 Near Vision chart features Sloan optotypes for testing literate children and adults.